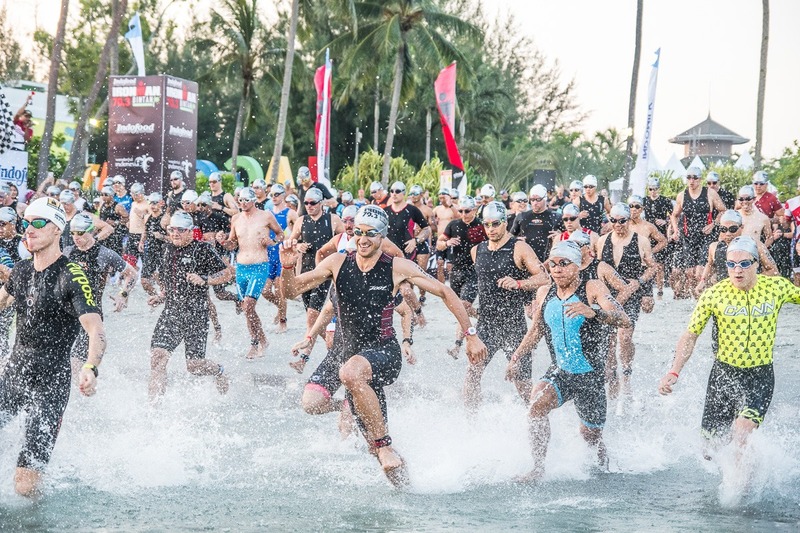 Bintan island was awash with triathlon fever last Sunday during IRONMAN 70.3 Bintan as 1300 athletes hit the picture-perfect water as the sun rose over Lagoi Bay. 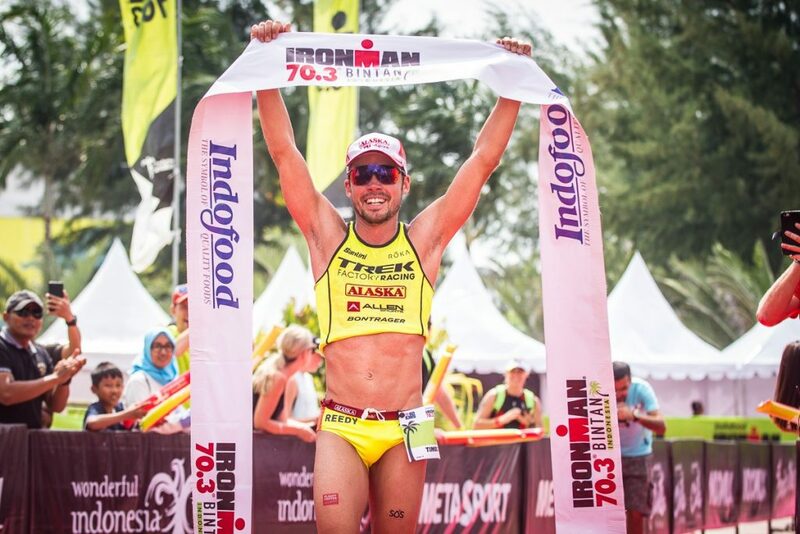 Australia’s Tim Reed, leading a high-class professional field, took a hard-fought victory at Indofood IRONMAN 70.3 Bintan, and USA’s Beth McKenzie, back to racing after the birth of her second child, claimed the women’s title. Both 2016 IRONMAN world champion Tim Reed, and McKenzie made their move around the 4km mark of the run. Defending champion Mike Phillips led out of the swim with Reed and Luke McKenzie, hot on his heels. They rode most of the bike course in close contention until Phillips pulled away at the end of the bike. But, Tim Reed quickly overtook the tall Kiwi on the run. The Australian held onto a 2-minute to take the win in a time of 3:56:02. Mike Phillips finished 1 minute and 54 seconds later in a time of 3:57:56. While Matt Burton completed the podium with a time of 4:06:16. “The best races in the world are currently staged in Southeast Asia and Bintan is definitely up there. The atmosphere and the tough and rewarding course make for a great event” says Reed. Beth McKenzie started the day on the back foot with a 3-minute deficit on the early leader Kirralee Seidel after the swim and 2:30 on 2016 Champion Kate Bevilaqua. The duo of Seidel and Bevilaqua led most of the bike. They ended up being caught by McKenzie and Hungarian Anna Eberhardt towards the end. McKenzie then pulled away from last year’s runner up, Eberhardt, early on the run. She sealed her victory in a finish time of 4:32:36. Anna Eberhardt held onto second place in a time of 4:38:45 and was joined on the final step of the podium by Sabrina Stadelmann, who completed the 1.9km swim, 90km bike and 21.1 run in 4:41:04. 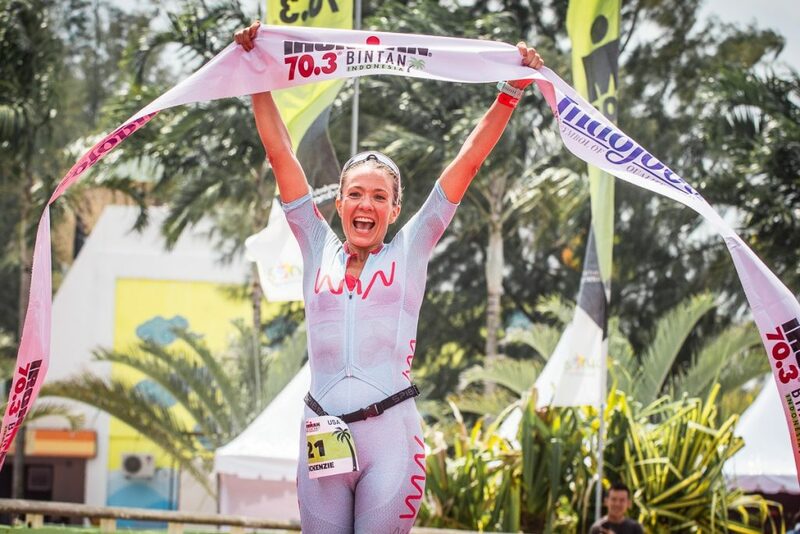 The 2018 Indofood IRONMAN 70.3 Bintan was not just about the professional race. 1,300 amateur athletes, each with their own story and personal goals, showed the true IRONMAN spirit. Indonesian favourites Andy Wibowo and Inge Prasetyo led out of the swim and stayed in the running for the top places till the end. Their times of 4:32:28 and 5:12:01 placed them respectively 3rd and 5th overall. The win went to Assad Attamimi in 4:28:13 and Vicky Hill in 4:55:38, both top-performing amateur athletes well-known in the Asian circuit, with Alan Blakie and Deanna Fuller in second position and Claire Walton completing the women’s podium. Attamimi praised the bike course as “an exciting change from the many flat courses; the winding and rolling roads make it fun, challenging and a very fair race”. Singapore based Briton Vicky Hill also viewed the reversed route as an improvement. In a fitting climax to the weekend, 30 athletes also walked away with a precious qualifier medal to the IRONMAN 70.3 World Championships in Nice, France. Their IRONMAN journey continues.